Laminating add strength and durability to your menus, posters prints or photographs for trade shows, point of purchase displays and promotional items. Protect printed materials from tearing, smudging, dirt and stains. Strengthen printed materials to be handled repeatedly. Get waterproofed by encapsulating your materials with laminating. 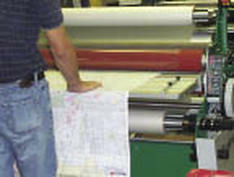 We use good quality laminating materials. We are able to laminate double side any paper size from 3 1/2” up to 48” wide and any length, trimmed flush to the paper, or encapsulated with a sealed edge. Lamination prevent printed material or photographs from becoming creased, faded, water damaged, wrinkled, stained, smudged, abraded, or marked by grease or fingerprints. Hole Drilling, eyeleting, grommeting, easel backing, slot punching, round cornering, etc. We can mount your large posters or photo prints to 3/16” Foamcore. 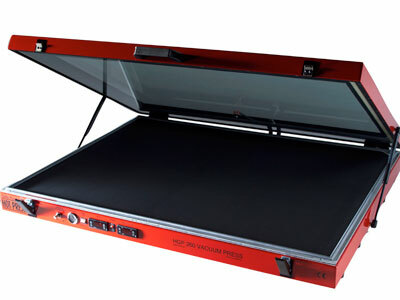 Counter Top Point of Purchase displays mounted 3/16” Foamcore with easel. Available in Letter size, Tabliot size or any custom size. Can be with laminated or with no lamination. Examples of Sizes and Special Prices for mounting.